I was recently introduced to adult coloring and absolutely love it! I’ve been having so much fun coloring all the different pages in the adult coloring books. I really love my brain getting an extra workout too! But wouldn’t it be fun to color pictures you have? 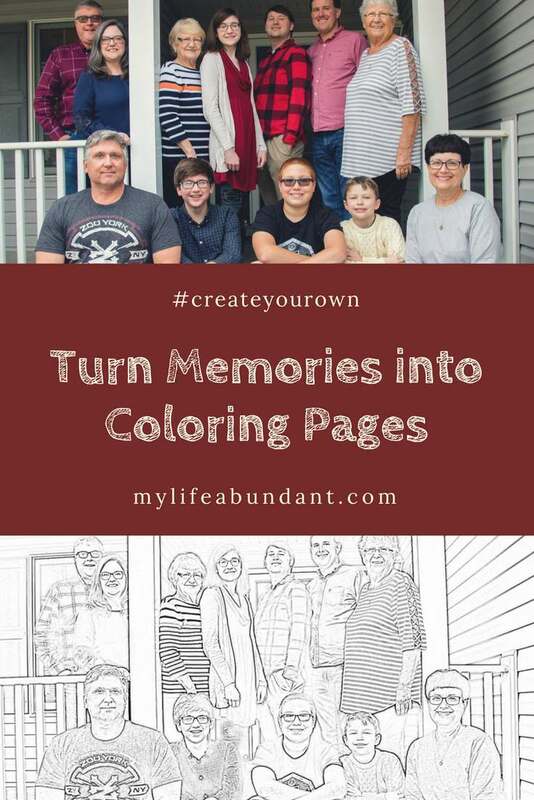 Turn your favorite pictures into coloring pages to use for yourself, make into a coloring book to treasure later or make a gift with. Let me show you how easy it is to #createyourown by using Posh Coloring Studio. Got to www.poshcoloringstudio.com and join up to get your account. 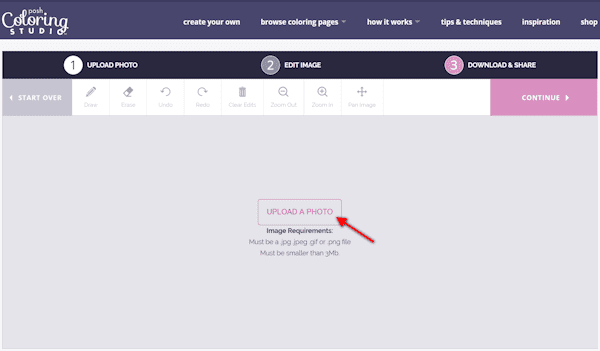 Once logged in you will go to Create Your Own at the top of the page and Upload A Photo. 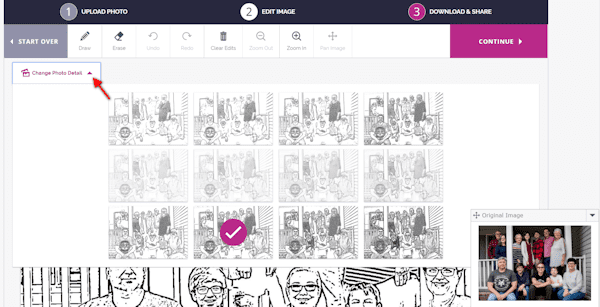 Once you load up your photo, it will automatically change to a coloring page, while at the same time, showing the original picture in the bottom right corner. If you don’t like how the coloring page looks, no worries. Click on the Change Photo Detail and you will be able to choose different versions of the photo. When you decide which photo version you like, just save the picture to a jpg and download to your computer. 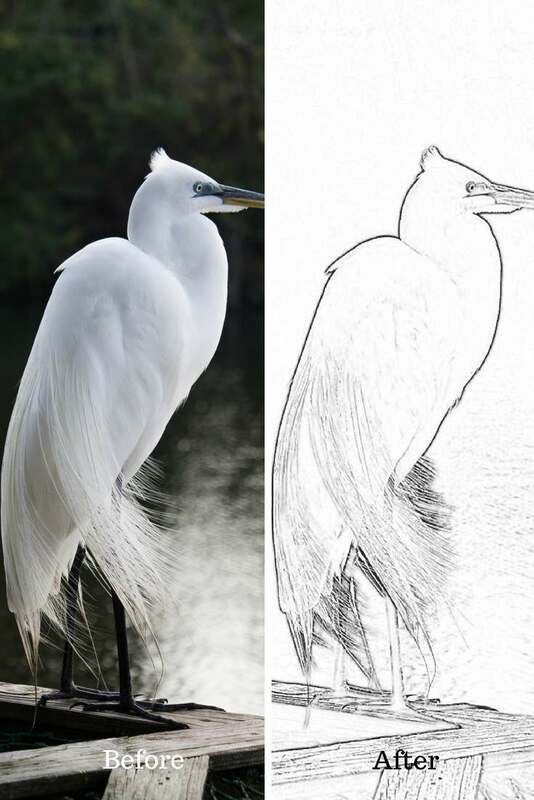 Here are a few before and after pictures of other photos I uploaded to change to coloring pages. I was so pleased with how these turned out. What I have planned now is to take pictures from all our travels and turn them into a book to color over time. While at Posh Coloring Studio, be sure to look at all the ideas to use your coloring pages as. Such as teacher gifts, cards, holiday ideas, etc. The tips & techniques area will also give you ideas for different types of pens and pencils to use to color your own pages with. Start Creating and try it yourself today! 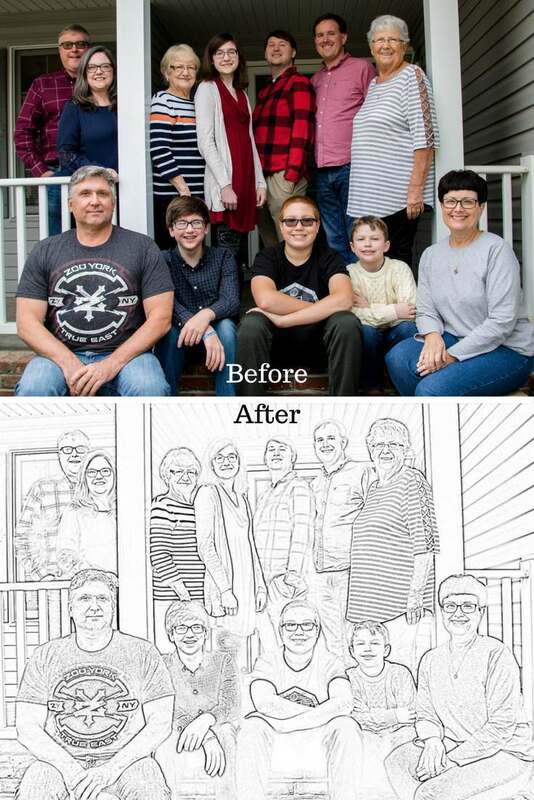 Here is one more before and after of my family picture. That is SUCH a cool idea. My sister is obsessed with coloring pages, so I HAVE to make some of these for her. Oh my goodness this is such a super cool idea! I already have several ideas on photos I could use for a project like this. Thanks so much for sharing! I love how well your pictures turned out. My oldest has had therapy birds and he doesn’t exactly get over them as they pass. I seen the bird picture above and that is the first thing I thought of. I think he would really enjoy this and at 34 he won’t be saying “this is for kids”! OMG this is actually awesome. I am going to book mark it. My son loves to colour. I’m thinking I can make him a personalised colouring book. I love this, thanks so much. 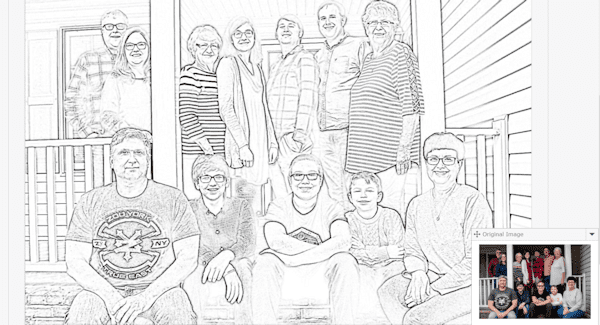 That’s really a neat idea, especially for kids who might miss family far away to create a coloring page for them. This is such a great idea for family reunions and gifts. I love it. very interesting idea! it looked like a canvas in cartoon if you do paint it by yourself like DIY. That is such a great idea. 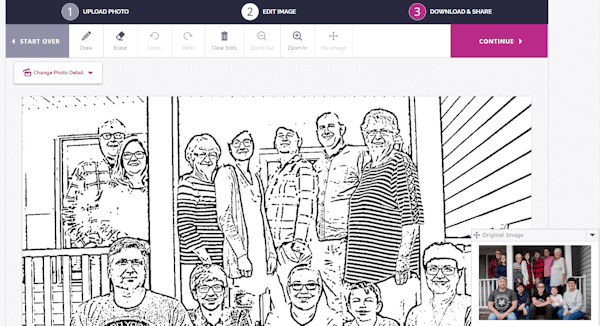 How much more enjoyable would it be coloring your favorite memories. Love this idea. Very nice gift Idea. This is a great idea! it can make such an awesome family gift during the holidays too! I love the coloring and it is very relaxing too. My mother-in-law loves doing things like this. One year she sent us a scrap book style picture frame and she is always dabbling around with other arts and crafts. I will have to pass this along to her. Oh my goodness, I’ve got to make some of these for the grandkids. They love coloring with me when they come over and would love it, even more, coloring photos they are in. Oh my goodness this is such a super cool idea!I love the coloring and it is very relaxing too. Now that is a really novel idea! I think I will do this for a gift for my mother. 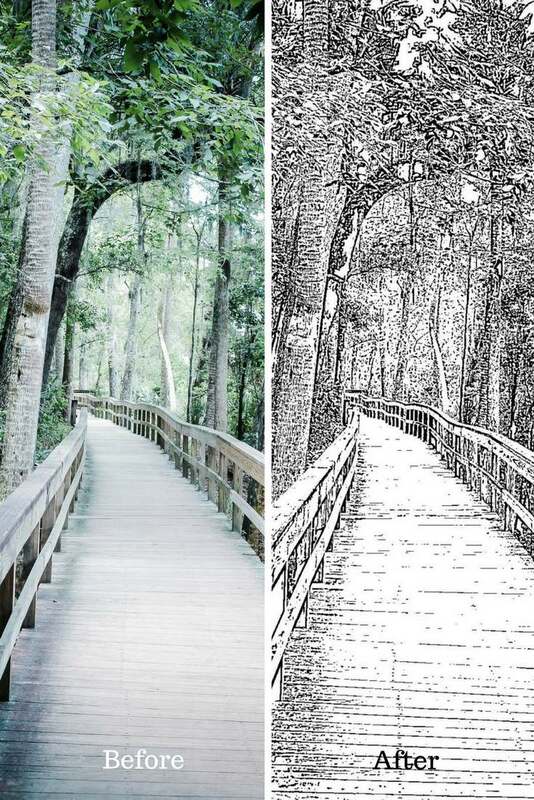 This is really great for people that like the detail work of coloring a page like this. Very cool! Such a good idea! Great gift for my mother in law who has become the artist come retirement! Visiting from Wonderful Wednesday party. This is cool and coloring pages are still a cool hobby. 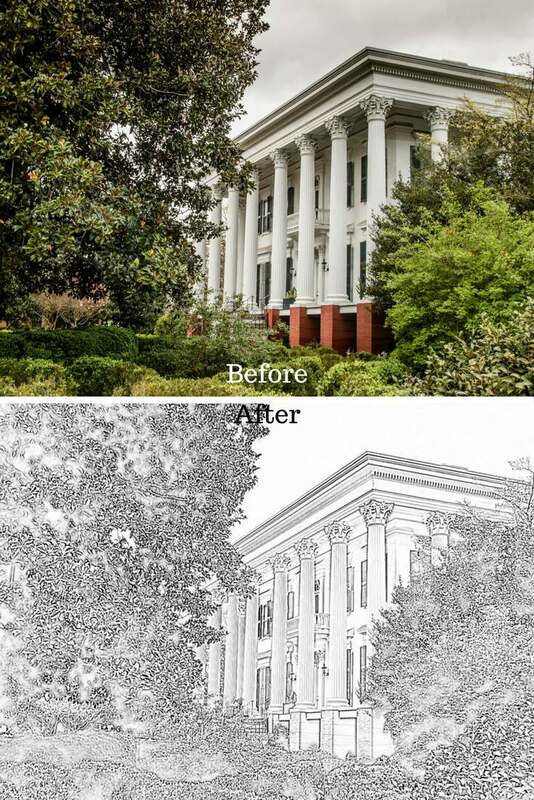 I have a filter which makes my photos into a coloring page or a sketch art. Also free to download. Oh my goodness, This is truly amazing! I would love to change so many pictures into cartoons.